[vc_row][vc_column][vc_column_text]Bangkok is a vibrant city for both active and passive person. Lots of things to do in Bangkok and you could enjoy the time in this Big Mango city. You could spend 1 or up to 20 days with doing and seeing different things. Check it out what is a famous sightseeing, top activities and find out more what tourist enjoy this city. is Bangkok highlight that one should see the elaborate art and architecture in one compound. The reason that the Royal Palace Bangkok has been listed number in the top 10 things to do in Bangkok since this place is a pride of the nation as well as the center of the spiritual. Many of the Thais and visitor going there to warship and sightseeing, don’t miss a great opportunity for photos and seeing the best of Thai art and architecture. is the home of traditional Thai massage. Things to do in Wat Pho is included get relaxed with Thai massage, visit reclining Buddha , meditate at the main chapel. See the huge Buddha statue and learning history in the first university of Siam. is the highlight and the landmark of Bangkok. In the pass , envoys and foreign visitors know that they arrived the country by seeing this tower from a distance. 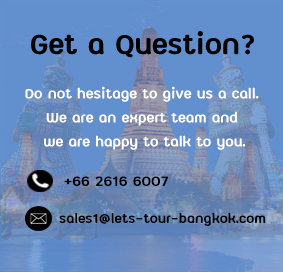 Things to do in Bangkok when visit Wat Arun is climbing up the tower to see the old city landscape as well as enjoy and see art from Chinese porcelain decorate around the temple. Fun loving could rent Thai custums and take pictures in the temple here. This is a none touristy temple that one could walk up to the man made mountain and see the Bangkok view from the top. The Stupa or tower here has enshrined the Lord Buddha relic. The best thing to do in Bangkok is to worship the Lord Buddha Relic. If you like to watch people, love to observe the wet market and enjoy street food , you should visit Chinatown. The Chinatown has lots of gold shops, goods, Chinese shine , street food and fruit cart . Walking along Sampeng lane, you will enter Little India or Pahurat. The night is young in Bangkok. Many places that you could celebrate your night but don’t forget Khoa san. Some of my clients said this is freak show area. There are bugs fired stall, pad thai shop, restaurant, cool hair style shop, fake id shop and many more which made young western listing Khoa Sad road as one thing to do in Bangkok. Mr. Jim Thompson was an American who is recognized as a legend of Thai silk. His house has an antique collection of Asian during he lived here. It is also a great chance for shopping high quality Thai silk as well see a traditional Thai house. The main river of Bangkok is Choapraya river. You can cruise with a long-tailed boat to see lively live along the river. Another protective of main sightseeing such as the Grand Palace, Wat Arun and Sapanbhut could be viewed from canal trip. Many floating markets are located in Bangkok and neighboring city. Damnern Saduak Floating market is the most famous one. You could also go to Bang namphoung floating market, Klong ladmayom and Kwan liam floating market. Those who have seen the Hang Over 2 may want to visit the sky bar at the Dome. Great view of Bangkok city , cool drink is valid here . Going there before sunset is a great thing to do in Bangkok. After that, having dinner at Sirroco for Mediterranean food and enjoy Jazz music.